If you are in need of industrial hoses, accessories, or similar products then you are in need of ASJ Hose in Los Angeles County CA. We are proud to offer a full line of products for all types of industrial needs, at competitive prices, and with great quality. We encourage you to keep reading to learn more about the many options we offer and to then reach out to us by stopping by or calling (951) 735-1351. What type of hoses are looking for? What type of equipment do you need? Regardless of the specifics, there is one thing you can be sure of: ASJ Hose in Los Angeles County has you taken care of. We can assist you with connections, fittings, etc. You can trust us to offer only the highest quality products. Whether you need a hose for pellet transfer or reel craft, from hydraulic hoses to gas hoses, you would have a hard time finding something that we don’t offer. Still not convinced? Just give us a call at (951) 735-1351 to find out more about our inventory. Many of our customers come to ASJ Hose in Los Angeles County CA knowing exactly what they want. Others aren’t quite sure. They know that they have a need but they don’t know what products will best meet that need. If you are in that position then we have good news for you: We are here to help! 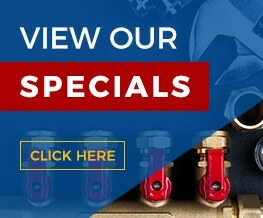 With decades of experience and a strong specialty in this industry, we know exactly how to get you the products you need that will provide the right fittings for tight, reliable connections. One of the best things about working with ASJ Hose in Los Angeles County is that we can help with all your industrial hose needs. Some of our clients are looking to start from scratch with a complete hose assembly, while others simply need a fitting to repair the configuration they already have set up. Some come to us with the part numbers they need, ready to go, while others need more guidance. From tiny jobs to large ones, we can handle it all. 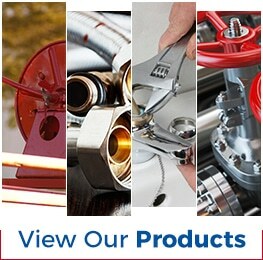 If you’re looking for industrial hoses and related products then it’s time to contact ASJ Hose in Los Angeles County. You can give us a call at (951) 735-1351, visit us online, or stop by our location. We have a 24,000-square foot facility, which makes it possible for us to have a huge selection of inventory in stock at all times. This means that there’s an excellent chance we can have your hose ready for pick-up or delivery in no time flat.